Keep your chakras “clean” during your healing sessions by discovering the best clearing technique for each situation. 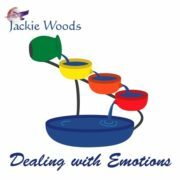 This course spells out the real purpose of emotions and shows you proven ways to use that emotion to aid in the growth and healing process of your massage practice. Learn the defining process so that you can have clear, meaningful interactions with your massage clients and accomplish what you want in your practice. 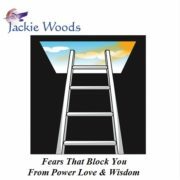 Think about it….all the Power, Love and Wisdom your Spirit has ever desired. This class lays out the necessary tools with exercises and online interaction to bring it home! 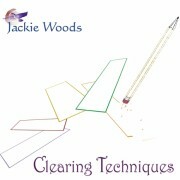 Jackie Woods’ Massage Therapy CE Courses are convenient... life-changing... a great choice! All of our courses are home-study. You participate when you have time. No need to travel or take time away from your practice. It’s as simple as that. 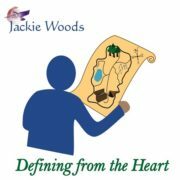 All of the course material is by Jackie Woods, a Spiritual Teacher with a 25+ year track record of success. You will have the opportunity to experience true personal growth, not merely learn new massage techniques. Our courses are NCBTMB approved and can be purchased here on our secure website. We use PayPal for credit card processing – the most secure platform available.